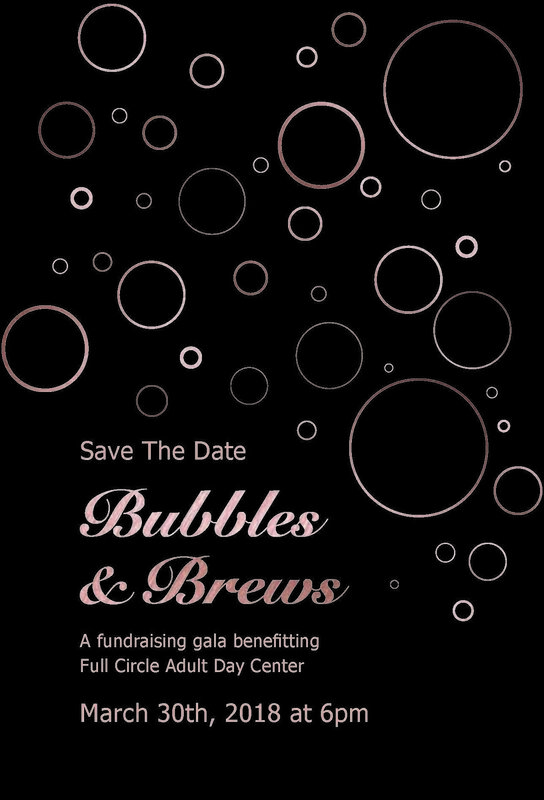 Sponsors are being sought for Full Circle Adult Day Center’s fundraising event to kick off its building campaign, the Bubbles & Brews Gala. Members of the public also are invited to attend the gala, which is scheduled for 6 p.m. Friday, March 30, at the Embassy Suites Hotel & Convention Center, Norman. 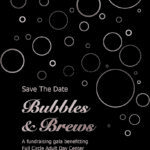 The event will include dinner, a silent and live auction, complimentary signature drink, a champagne cocktail and beer raffle for women’s and men’s jewelry, entertainment and a photo station. Featured entertainer will be guitarist Edgar Cruz. Full Circle is a 501(c) (3) nonprofit organization of caring, specially trained associates that provides a non-residential setting for aging and disabled adults to participate in life-enriching programs that focus on wellness, activity and socialization designed to improve and maintain independence of the participant while providing much-needed respite for their adult caregiver and support with other care solutions. Your sponsorship will help support a new 6,000-square-foot building being built by Ideal Homes founder and local philanthropist Gene McKown and Landmark Realty. 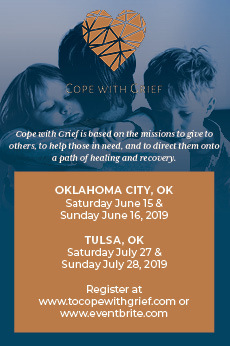 It will provide the space needed for the growing organization as well as funding scholarships for participants who would otherwise be unable to attend Full Circle. For more information regarding the event, or to place reservations, please contact Melissa Rosko at b_boop55@yahoo.com or Amber Compton at amber.compton@legendseniorliving.com. On a dark and stormy night, a group of friends, enemies, lovers and haters arrive at an isolated manor to try their hands at solving a staged mystery before returning to their normal lives the next day. But for one of them, there is no going back after they develop a very real case of being DEAD! The game they all came to play becomes a madcap murder mystery the audience has to solve! A Spirited Game of Murder is a musically spooky good time! Tickets are $75 per person and include dinner and the show. Dinner and shows will be held on Thursday, Friday and Saturday, Feb. 15-17, at the Studio of The Sooner Theatre Event Center, 111 E. Main St., in downtown Norman. To reserve seats, please call 321.9600. Although the event is a fundraiser for all programs of The Sooner Theatre, the evening is for adults only. Tickets are now being sold for the Moore Public Schools Foundation’s third annual Soiree, scheduled for 7 p.m. Saturday, Feb. 24, at Southwind Hills, 468 SW 24th Ave., in Goldsby. The event will feature a silent auction, casino tables, cash bar, photo booth and a DJ. Attendees must be 21 or older; cocktail attire. foundation.org/home/the-soiree/. Other questions? Email info@mooreschoolfoundation.org. Two individuals with strong ties to Cleveland County are among five individuals selected by Oklahoma Magazine as 2017 Oklahomans of the Year for their contributions to the arts, philanthropy, business, public service and cultural preservation. To read the article on the 2017 Oklahomans of the Year winners, visit okmag.com/2017/12/26/oklahomans-of-the-year-4/. There’s a lot going on in February at the Cleveland County library branches served by the Pioneer Library System. A highlight will be the 14th Annual Crowns Tea, to be held Feb. 25 at the Norman Central branch. 14th Annual Crowns Tea, 1:30 and 3 p.m. Sunday, Feb. 25–Based on the book Crowns: Portraits of Black Women in Church Hats by Michael Cunningham, this annual library favorite celebrates the rich traditions of literature and music in a Black History Month celebration. The event is made possible from support from the Norman Arts Council and Friends of the Norman Libraries. African-American Read-In, 2 p.m. Sunday, Feb. 11–This annual event is part of the library’s commemoration of Black History Month and features literature readings, music and much more. It’s also the first chance for picking up free tickets for Norman Central’s Crowns Tea event. Teen Cocoa and Cards, 6 p.m. Thursday, Feb. 8–For students in sixth through 12th grades, make Valentine cards and hot cocoa in a gift jar to give to a loved one for the Valentine’s Day holiday. Kids Explore, 4:30 p.m. Tuesdays, Feb. 6, 13, 20 and 27–For children in kindergarten through fifth grade, the series features a different educational topic each week, ranging from Oklahoma animal artifacts, gross science, fairy tale engineering and more. Sew Yourself an Infinity Scarf, 3 p.m. Wednesday, Feb. 14, or Thursday, Feb. 15–Children up to age 11 can get an introduction to sewing by making their own Infinity Scarf. 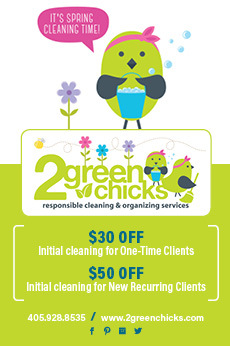 There are two separate sessions of the class, and advance registration is required. Jenny Erpenbeck, who has been hailed as “one of the most significant German-language novelists of her generation,” will be the featured guest at the 2018 Puterbaugh Festival of International Literature and Culture, slated March 7 through 9 on the University of Oklahoma Norman campus. The Puterbaugh Festival is hosted by World Literature Today and co-sponsored by the Department of Modern Languages, Literatures, and Linguistics in the College of Arts and Sciences; the Vice President for Research; the schools of Dance and Music in the Weitzenhoffer Family College of Fine Arts; the Department of International and Area Studies and the EU Center; the OU Humanities Forum; and the Schusterman Center for Judaic and Israel Studies. + Opening Night Reception, 6-8 p.m., Fred Jones Jr. Museum of Art, 555 Elm Ave.
Brown-bag lunch on German culture and politics panel, with OU professors Ana Bracic (Political Science), Carsten Schapkow (History), Jason Williamson (Modern Languages) and Jill Irvine (Women’s and Gender Studies), moderated by Daniel Simon, noon-1:30 p.m., Headington College, 200 W. Lindsey St.
A roundtable discussion of contemporary German literature with Susan Bernofsky (Columbia University), Necia Chronister (Kansas State University) and Robert Lemon (OU), and moderated by Karin Schutjer, 9-10:15 a.m., Scholars Room, 315 Oklahoma Memorial Union, 900 Asp Ave.
School of Dance and School of Music adaptation of Erpenbeck’s short story Sand, featuring choreography by Boyko Dossev and Jeremy Lindberg and original music by Joshua Tomlinson, 11 a.m.-noon, Elsie C. Brackett Theatre, Rupel J. Jones Fine Arts Center, 563 Elm Ave.
Puterbaugh Festival Keynote Address by Jenny Erpenbeck, noon-1 p.m., Brackett Theatre. Was getting physically fit one of your New Year’s resolutions? 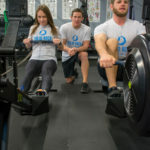 Solid Rock Training, a unique fitness training gym that offers high-energy coach-led classes, is offering a complimentary first workout. “We Give Solid High Fives. We Rock Our Music. We Train for Life” are the gym’s mantra. Your free class may be booked online or via the MINDBODY App. 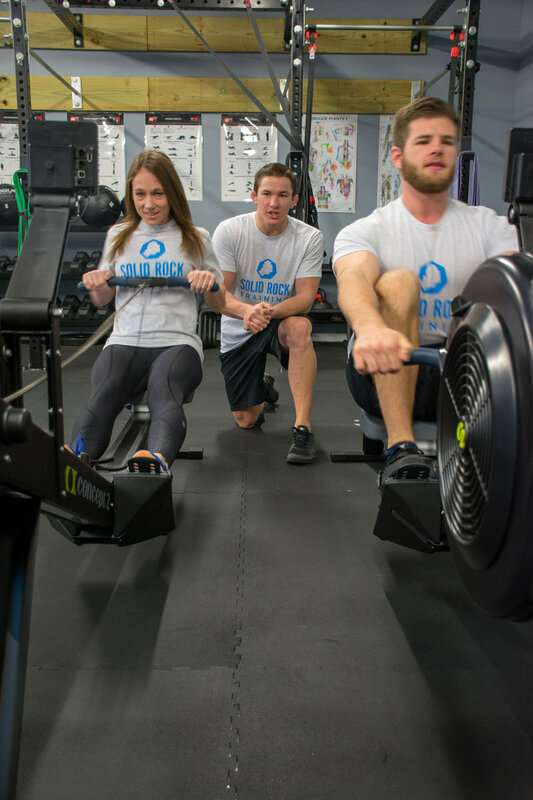 For more information, visit solidrocktrainingnorman.com or call 922.8561.